Detroit Medical Center did it again! They hosted their second PRI course: Myokinematic Restoration. Last year they hosted Postural Respiration. 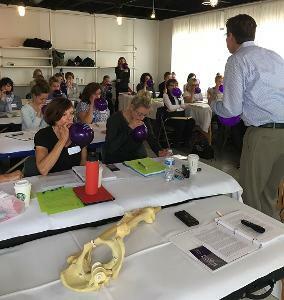 The class was full of "first-timers" to PRI and by the end of the weekend they seemed pretty excited to pursue this revolutionary approach to physical medicine. As we delved into human asymmetry and the Anterior Interior Chain I took a minute to call my buddy James Anderson who was teaching the same course in San Diego. Both classes had a chance to say "hi" and have a brief visit over speaker phone. That was fun! My class is going to be disappointed to learn that my group picture didn't "save". To the group I say: "I'm sorry y'all ". However, thanks to Shelly DeRuiter PT, PRC, I have some good candid photos! I cannot say enough about Shelly. She was an excellent lab assistant and her kindness and knowledge was evident throughout the weekend. Shelly lives in Holland, Michigan now and is building her stellar practice just like when she was back in Iowa. I am a Shelly DeRuiter fan! To those of you who took this Myokinematics course this weekend remember what I said at the end: PRI is here to help. We sincerely want you to succeed with this material. Good luck with your patients and together we can learn this complex material. I hope you enjoy your paradigm shift and your new journey as much as I have! Thrive Proactive Health is a Postural Restoration Certified Center and a privately owned wellness clinic in beautiful Virginia Beach, VA. We are growing and looking to expand and grow our Physical Therapy Team! Ideal candidate must enjoy learning and communicating with other PTs, PTAs, and massage therapists that look at human biomechanical relationships through a Postural Restoration®(PRI) lens. We focus on providing individualized care using a team approach and incorporate various tools and therapies to treat hyperactivity and impaired mobility including Graston, Dry Needling, and Vacuum Cupping. Postural Restoration is a specialized form of PT that all of our staff members are trained in and every patient is evaluated using a PRI framework. There is a lot of opportunity for professional growth for those that may be interested. We are looking for someone who is excited to grow with an innovative practice and we welcome ideas for program development. Our mission is to responsibly optimize health and wellness care delivery by focusing on enhancing the customer experience. We strive to provide quality, innovation, and teamwork to be industry leaders helping more people THRIVE in a culture where healthcare is changing. Virginia State License is required and minimum of two years of experience along with experience with Postural Restoration® is preferred. A variety of employee benefits are available for team members that qualify, which include health care, paid time off, bonuses, and incentive pay based off of team performance. CLICK HERE to apply in confidence! 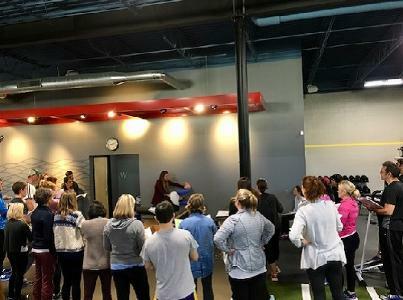 PRI Integration for Pilates (Chicago, Illinois) Pilates Central in the beautiful city of Chicago was definitely the center of the Pilates universe this last weekend as we were blessed to launch the long awaited PRI Integration for Pilates course. I want to thank the awesome group of dynamic professionals who traveled from virtually every part of the United States, as well as Switzerland and Japan, to be with us. This new course is a powerful addition to the affiliate course line-up and something we were so excited to finally get it off the ground after working so hard on the new manual and course presentation for the last 2 1/2 years. A big thank you to our two amazing Pilates affiliate course consultants, Donna Parise Byrne and Sarah Petrich. Your professionalism, hard work and persistence definitely paid off putting this course together because the first rendition was a fantastic hit after selling out over 7 months ago. It was an honor to get to learn from you and with you as we teamed up during countless conference calls, video conferences and personal meetings to create and pull all of this together. Seeing the finished course manual in print and seeing the course presentation unfold made me so proud to serve as the director of the affiliate program and to work with such talented people. I loved to see you two shine! The highlight of the course was definitely all the time spent on the actual reformers experiencing all the new techniques. The last couple hours on day one and virtually all of day two got us out of our chairs and onto the reformers in the lab. Donna was hooked up to a loud speaker most of the second day and she directed everyone through each reformer technique as if each person was one of her personal clients. Her insights and experience in the lab were complimented by Sarah's insights and creativity to make it awesome for everybody. Some of the great feedback from the course attendees includes: "This was my absolute favorite PRI course to date. Very well organized. Lab was so helpful", "The information was invaluable. Being new to PRI, I left feeling inspired and eager to continue my PRI education", "I loved the class, loved the materials and the instructors were excellent", "It was fantastic to have several hours of practice in small groups to better understand the exercises. 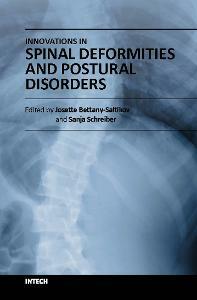 I plan to apply this information in the clinic on Monday", "This manual rocked! It was well organized and very detailed. Loved the charts Sarah" and "This course really helped me get it". PHYSICAL THERAPIST/Director of Physical Therapy Nebraska City Office. Seeking to hire Physical Therapists to become part of our growing team in SE Nebraska, and director of Physical Therapy in Nebraska City, NE. Prefer to hire someone with Postural Restorative therapy experience. • Clinically driven and self-motivated for this fast paced environment. • Value sustained growth and stability with a desire to work within a team of skilled clinicians, and have the integrity and a passion to improve the quality of care in an outpatient clinic setting. Husker Rehabilitation and Wellness Center, P.C. offers competitive salary, flexible schedule, and a great benefit package. Life, Health, Dental and Vision insurance paid benefit for professional staff, short and long term disability. 401k retirement plan. Paid continuing education and APTA dues and many other benefits. Husker Rehab is a local Therapist owned company providing services in Nebraska for over 30 years. PRI Integration for Geriatrics, St Albans, Vermont-The Green Mountain Range in northern Vermont in peak fall foliage is truly something to see. I met a lot of people who were visiting Vermont during this time of year just to see the beautiful fall colors. The locals call these people "leaf peepers" and I can see why they are so passionate about traveling to these beautiful mountains in October. 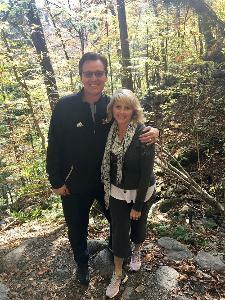 My wife Karen traveled with me and we spent 3 additional days in and around the Burlington and Stowe areas and just loved it. The course was held at Northwestern Medical Center in St Albans, Vermont which is north of Burlington. It is not in Canada, but you can see it from there. Thank you to the host site for doing such a great job all weekend and for sending so many of your therapists to the course. I think there were 14 therapists from the host site. It was so great having so many of you there with us. And thank you Carolyn Weber, PT, PRC from Essex Physical Therapy for being there to assist me throughout the course. Your support was a welcome addition to the course. I met a lot of great people this weekend and I tried to share as many insights on treating the immobile, frail and chronic as possible. You were all great additions to the course and I appreciate you being there. One of you in particular stands out in my mind as a particularly colorful character, Albert Koch, PT. He wore colorful shirts and bright bow ties with matching socks and brought in two bouquets of flowers on the second day, just to brighten our day. He brought a fun sense of humor to the course and truly made our time with him better. I am especially grateful for an email I received from him a few days after the course. In that email, he writes, "I think I have helped my geriatric patients perform better physically and mentally over the years, with exercise, empathy, and good humor, but now I have some new and interesting ways to add to what I already know. You made me feel very welcome and you are clearly passionate about what you do and you conveyed this to the class in many ways. I enjoyed your humor throughout the weekend and appreciate that you put up with mine. Early in my career I became jaded about going to courses, because presenters would spend hours on theory, and only five minutes on practical application. But you did a nice job of balancing that much better with many exercises that are displayed in a very clear way. I hope you enjoy your time in Vermont. It is a unique and wonderful place." Thank you Albert, and thank you to everyone we met for making our time in Vermont truly "unique and wonderful". I have been on the Faculty of PRI for the last 7 years and this weekend was the first time I had taught a full course at the Institute since coming on staff. This weekend was very special to me as I had my dear friend and PRIsister Lori Thomsen as my lab assistant. The entire staff of PRI were there to help me put on the course. It was nice to show up, teach the class and not have to worry about getting everyone signed in! Pelvis Restoration was recently updated to include the Hruska Abduction lift score as the functional performance test to guide a patient who lacks frontal plane of their pelvis on one or both sides. The course material flows nicely as the HABLT is truly a frontal plane test. I had the special privilege of having Ron conduct a "Lunch and Learn" on Friday with my course attendees. He fielded questions on the history of PRI and why he choose to name the asymmetrical pattern the LAIC as well as his own personal story. Having him there made me feel like I was teaching with a life jacket! This was a small group that were 50% new to PRI. I love hearing course attendees talk about what course they are interested in taking next and this course was no exception! Thank-you to Lori, Jen Platt, RJ, Matt and Hannah for making me feel at home. 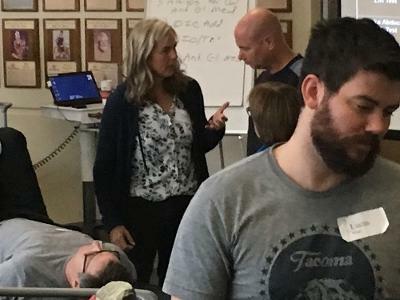 The Olympic and Cascade Mountain ranges provided a spectacular back-drop for Postural Respiration, hosted by Erin Rajca, DPT, PRC, Betsy Baker-Bold, PT, PRC, and Leslie Kinoshita, all PTs with ATI Physical Therapy. The course kicked off with a discussion on the two respiratory diaphragms and how the right hemi-diaphragm over-powers the left, creating the lateralized, predictable patterns of breathing and movement present in us all. This segued into the symbiotic relationship between the hemi- diaphragms and ribs: i.e. well-positioned diaphragms allow rib movement, and proper rib movement/expansion helps to maintain diaphragm position to keep patterned movement in check. This concept was woven into defining the what, why, when, and how of inhibiting the L AIC and facilitating the R AIC to provide a foundation for synchronized movement of a thorax over a pelvis – i.e. early stance phase of gait. This synchronization provides the foundation for the subsequent separation of the thorax on the pelvis at mid to late stance. The end game: alternating, reciprocal – aka “tri-planar” --respiration and movement! Responding to previous course feedback, a fair amount of time was devoted to practicing the nuances of both non-manual and manual techniques and where they fit into a patient’s/client’s program. Attendees were able to sense rib movement and air flow, in the roles of patient and practitioner, and to sense engagement of the muscles that oppose the patterns. Thank you to our models: Greg Lewerentz, Geneva Bender, Jeremy Kirschner, and Maryann Kuchera (and to Erin Krekling for being a ready and willing back-up). Each of these individuals enabled the class to experience the unique challenges of stiff rib cages, belly breathing tendencies, and/or superior T4 syndrome. Thank you to all participants this weekend – you were a spirited, engaging group with thoughtful questions and feedback! Holly Spence, PT, PRC presented earlier this month at the OBI Bioesthetic Dentistry Annual Session in New York City. Holly presented alongside Gayle Myers, MD and Dara Chira, DMD. Their interdisciplinary presentation was titled "Adjunctive Therapy to Joint Stabilization and Splint Design". Within her presentation, Holly introduced the attendees to PRI concepts of asymmetry, the relationship between proper respiratory mechanics, its influence on forward head position and centric relation of the TM joint from a PRI perspective. In the first part of their presentation, they introduced what they each do, followed by their assessment methods and when they know to refer to each other, and they concluded with case studies to demonstrate how they treat patients in an integrative fashion. CLICK HERE to view Holly's portion of the presentation. Thanks Holly for sharing your interdisciplinary story with this dental group. I am sure you helped inspire the attendees to look at building an interdisciplinary team! Great time in Minneapolis, Minnesota this past weekend talking PRI Integration for Fitness & Movement. Special thanks to this amazing host site- FitSpace! Brent and John your hospitality was appreciated, and your facility was awesome. Also special thanks to DJ for her help over the lunch breaks! Thank you guys so much for hosting and a great set up! 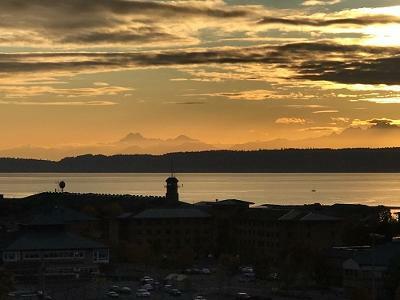 This past weekend I allotted extra lab time--- and by the course reviews that seemed very appreciated. There’s value in understanding how muscles work together in each plane and there’s even more value in actually FEELING, SENSING, and GROUNDING these relationships and new positions. We talked about the neurorespiratory mechanics and asymmetries of the diaphragm, pelvis, and ribcage in three planes and broke them down to be properly sequenced to reorganize core performance. Our focus in this course is on synchronizing certain muscle groups around the pelvis and ribcage to improve postural organization, reduce asymmetrical torque and strain, and maximize strength and power output via improved neuromotor programming and neurological grounding principles. As we wrap up the 2017 schedule, east coast and Washington DC/Baltimore area is our last stop. Early sign ups are still going on for the November 18-19 host site in Frederick, MD. Check out the PRI Affiliate Course link to learn more and register!